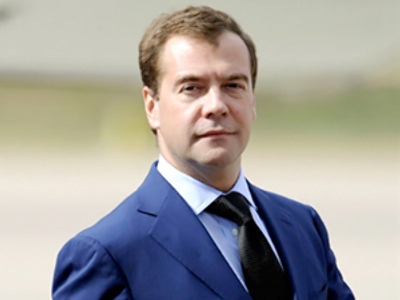 President Dmitry Medvedev discussed candidates to head the Republic of Kalmykia with the leadership of the United Russia party on Wednesday. Current president, Kirsan Ilyumzhinov, who has headed Russia’s poorest republic since 1993, was not on the list of candidates submitted to Medvedev. The Kalmykia president’s term expires on October 24. 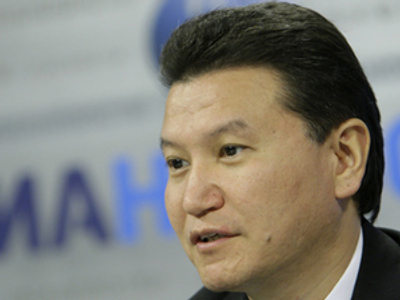 Ilyumzhinov, who is currently also head of FIDE, plans to continue his work with the World Chess Federation, as well as complete a number of projects in Kalmykia, including preparations for the visit of Dalai Lama. 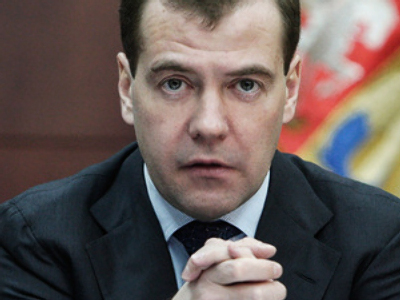 In its list of candidates to replace him, United Russia has chosen Volgograd Deputy Governor, Aleksandr Dorzhdeyev, Kalmykia parliamentary speaker, Anatoly Kozachko, Kalmykia First Deputy Prime Minister, Aleksey Orlov, and the deputy head of the federal financial markets service, Bembey Khulkhachiyev. On Tuesday, United Russia leaders consulted with Vladislav Surkov, deputy head of the Russian president’s administration, over Kalmykia presidential candidates. Itar-Tass quoted Surkov as saying that “questions were raised about the development of the region.” Boris Gryzlov, chairman of the party’s supreme council and State Duma speaker, said economic development of Kalmykia will be responsibility for United Russia as well as the republic’s executive bodies. 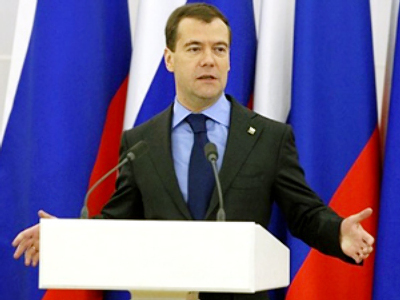 The final decision on which of the candidates will be submitted to the republic’s parliament, the People’s Hural, will be taken by the Russian president. 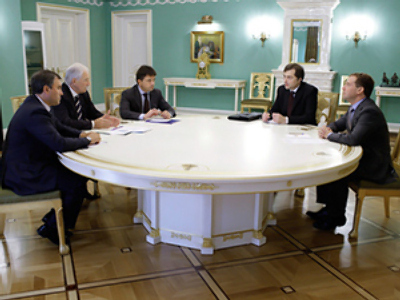 The republic’s current leader, Ilyumzhinov, said he supported the Russian leadership’s policy of replacing regional leaders with younger successors, adding that he agreed with Medvedev’s position about “inexpediency of more than two terms in office for the regional heads.” He also made it clear he would support any candidate nominated by United Russia and chosen by the president. 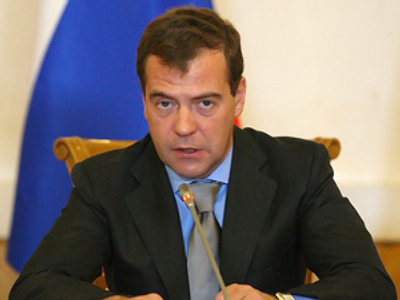 The next head should not be necessarily ethnic Kalmyk, he stressed. Kalmykia, a republic in the southeast of European Russia, alongside the Caspian Sea, has a population of less than 300,000 people. Kalmykia’s head is considered one of the representatives of the “old guard” of governors and heads of national republics who worked for several terms in office. He has led the republic for four consecutive terms. 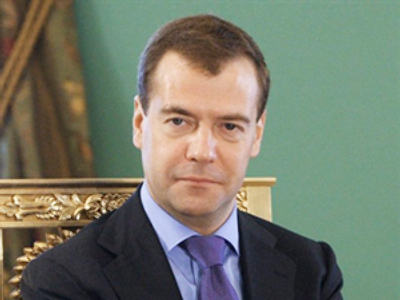 Earlier this year, Medvedev appointed replacements to the heads of the republics of Tatarstan, Bashkortostan and Chuvashia. On Wednesday Chuvashia’s state council appointed the republic’s former President Nikolay Fedorov as a member of the Federation Council, the Russian parliament’s upper house. Fedorov, who headed the republic for more than 15 years, was replaced by regional deputy prime minister Mikhail Ignatyev in July.